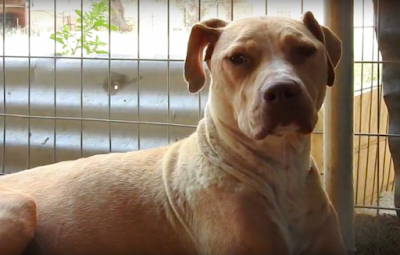 Lara, who is believed to be a Pit bull mix, sadly lived with the wrong people for far too long. 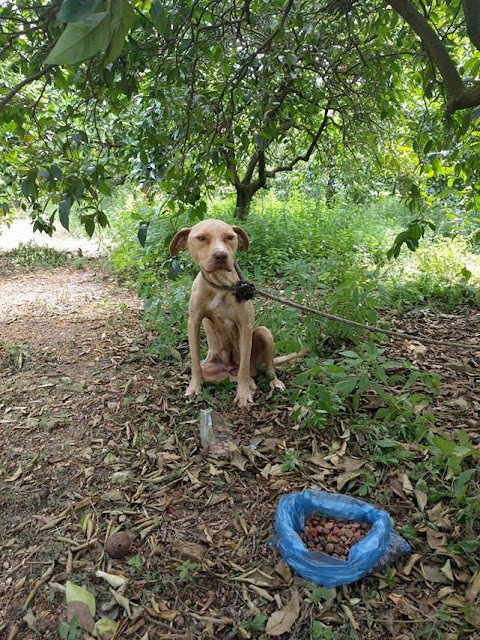 While she was pregnant, her former owner brought her to a forest near Nafplion, Greece, and left her chained up in the middle of nowhere, where she was forced to give birth alone, with no food, water, or shelter. 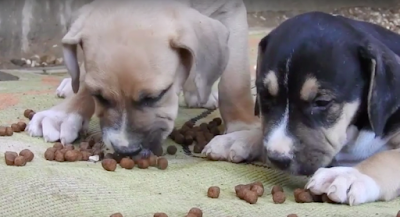 Lara managed to survive and kept her puppies alive for ten days in the cold weather and rain before they were finally rescued. The saddest part, is that people living in the village nearby knew about Lara, but did not help her and her puppies or give them food or water. 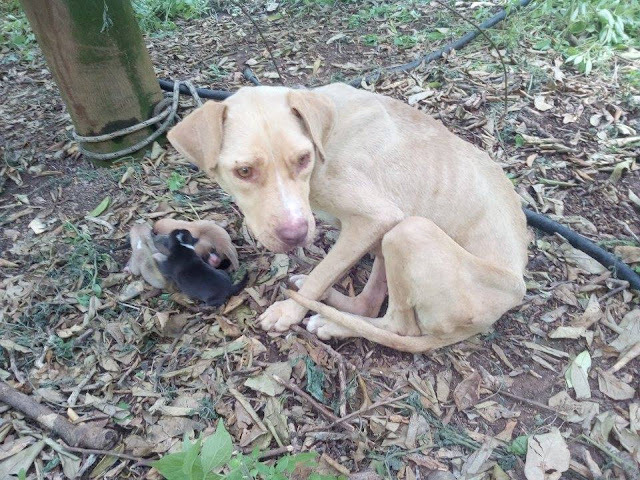 When her rescuers first saw her, they were overwhelmed with sadness. Lara was in horrible shape. She was malnourished so badly that all her ribs were sticking out. She was also dehydrated, scared, and in total shock. Unfortunately, one of her puppies didn’t survive, but the other three have recovered well. Lara and her puppies were taken to the hospital and treated for their ailments. Thankfully, they all survived and are now doing so much better. Lara also tested negative for all diseases and has since put on so much weight. They are staying with their new foster mom, Linda, until they find forever homes. 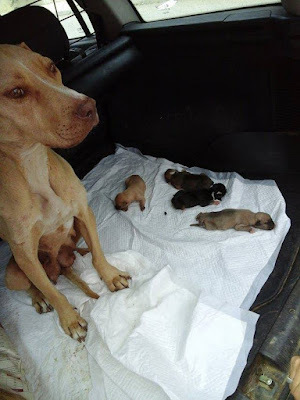 Linda dedicates her life to saving stray dogs and takes such great care of them. 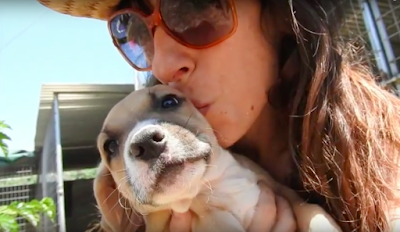 She has fostered nearly 300 dogs within the past five years. Many of them came to her on the brink of death, and she successfully nursed them back to full health. There’s no doubt that she’ll do the same for Lara and her puppies. This is a very sad story, that luckily had a happy ending. Many unwanted dogs are a.b.a.n.d.o.n.e.d every day. If you’re unable to care for your pet, it’s best to bring them to a shelter. There are also too many unwanted puppies, which is why it is so important to spay and neuter your pets!